She's modeled for designers like Marc Jacobs, Tom Ford, and Miuccia Prada, but Natalie Westling's talents go beyond the runway. The gorgeous red-haired It girl has a passion for skateboarding, and the Vans ambassador just dropped her first collaboration with the brand. Westling designed a pair of '90s-inspired Sk8-Hi Reissue DX sneakers that are reflective of her personal style and have a fashion-forward flair. 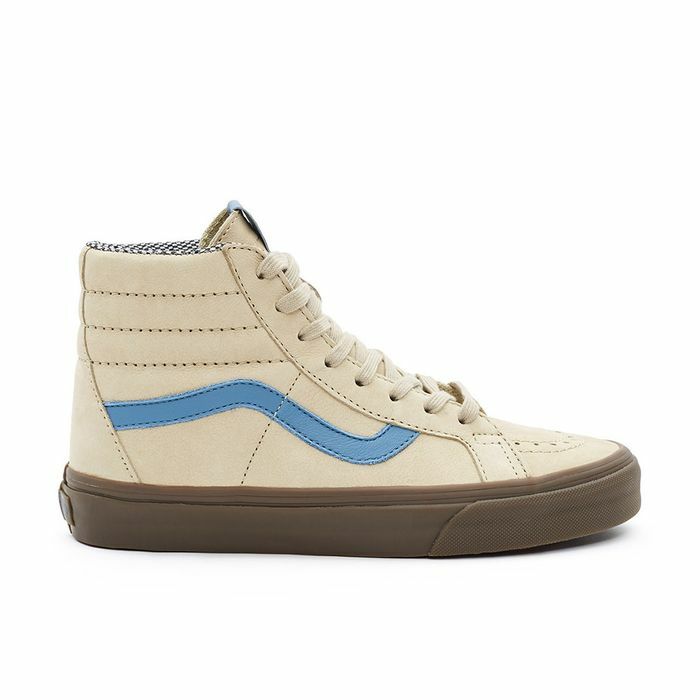 "I was so honored to be a part of the Sk8-Hi campaign recently that it only felt right to choose the Sk8-Hi," the model said in a press release. "All in all, I wanted to create a shoe that I could skate in but was also different from all of my other Vans." Westling's iteration of the iconic high-tops is constructed with nubuck uppers, a blue leather side stripe, and a classic dark sole. The video for the campaign has a positive message, too. It features the Arizona native skateboarding alongside a group of young girls who are part of the "She Plays We Win" project, which is geared at embracing the confidence that all sports can provide young girls. Check out the video of Natalie Westling's Vans collaboration and keep scrolling to shop the sneakers, available exclusively at Opening Ceremony. Will you be picking up a pair of these classic Vans sneakers? Tell us in the comments.